Get a padded wire basket muzzle for mastiff. 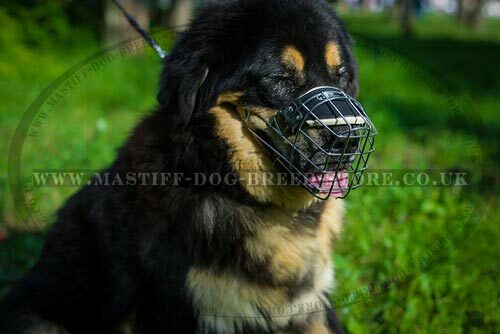 Revolutionary design wire dog muzzle for big dog like Tibetian Mastiff combines the best characteristics for safety and comfort. 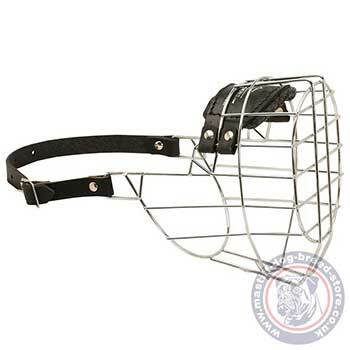 Extra large Tibetian Mastiff muzzle basket is designed in many sizes and shapes. 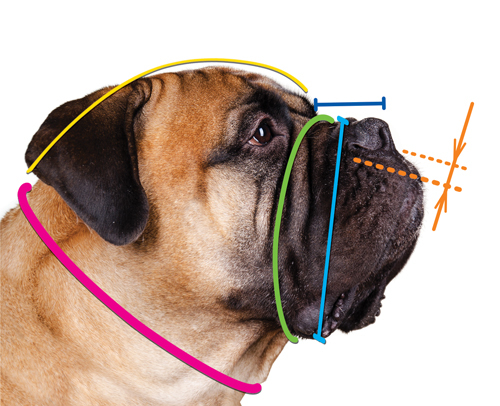 Measure the snout of your Tibetian Mastiff according to the insctruction, and you will get a perfectly fit wire dog muzzle. The benefit of this wire dog muzzle is that its shape and space allows a dog to pant and drink water muzzled. Sometimes it is important in trainign to be able to give treats to your dog. 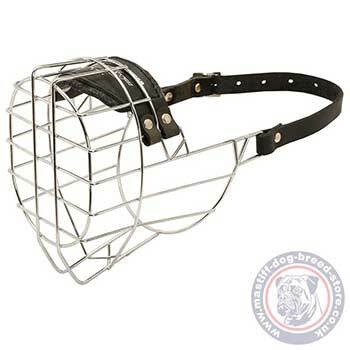 With this basket dog muzzle your Mastiff will get treats throught the cage and chew it muzzled. At the same time it is a secure protection from biting. Revolutionary design of this basket muzzle for big dog is a soft padding in the upper nose part that prevents rubbing. Basket dog muzzle is securely fastened by wide, thick, genuine leather belts with a buckle. You may choose a quick release option instead of a classic clasp. Though Tibetian Mastiff temper is calm and generally these dogs do not show aggression unless for protection, sometimes it will be required to wear a muzzle. You will surely need it for grooming or vet visiting. 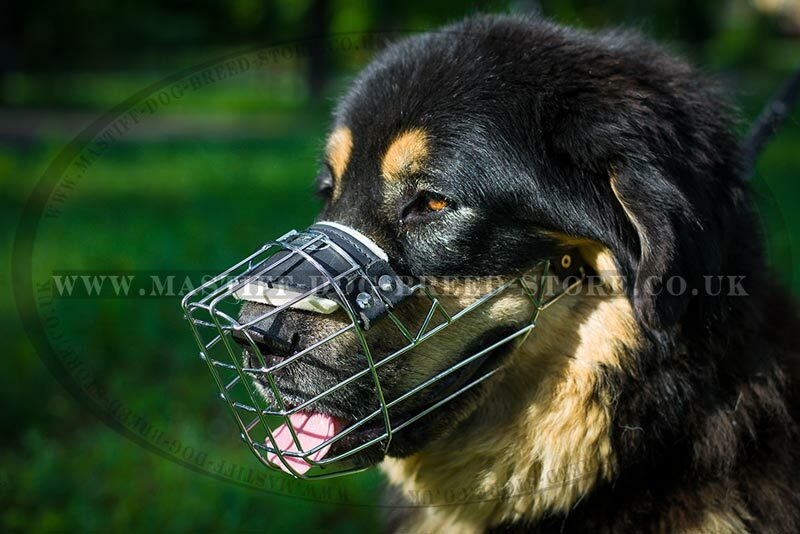 Try a comfortable and secure basket dog muzzle for your big dog.